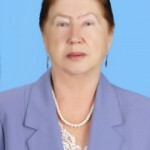 Chuykina Lidiya Aleksandrovna, a graduate of Saratov University, Candidate of Pedagogical Sciences. After graduation, she was sent to work in Karaganda, to the Pedagogical Institute. For 20 years she worked as a manager. Department KVS Ministry of Internal Affairs, and then for 10 years headed the department in KGMI. 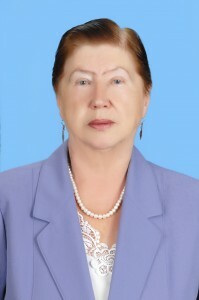 Since 2002 – Associate Professor of the Russian Language and Culture Department of KSTU. Classes of Lidia Alexandrovna are held at a high methodological level. She is characterized by intelligence, interpersonal skills, friendly attitude towards others, openness.